Yesterday afternoon amidst a cloud of family problems, delivered via telephone, I escaped to one of my usual refuges in Cowan, Tennessee — The Artisan Depot Gallery, an arts and crafts center sponsored by the Franklin County Arts Guild. It’s a small gallery facing the highway leading to Winchester, Tennessee and has the kind of atmosphere that uplifts me. The Guild provides artists in Tennessee a venue for their work in downtown Cowan and is run by members who volunteer their time to keep this gallery open. Those members organize shows and work to promote art education, including scholarships for budding artists and workshops for artists of all ages. Frances Perea is one of my favorite artists who exhibits her work at the gallery, and I was drawn to a wall where her "Santos" (saints) works hung. 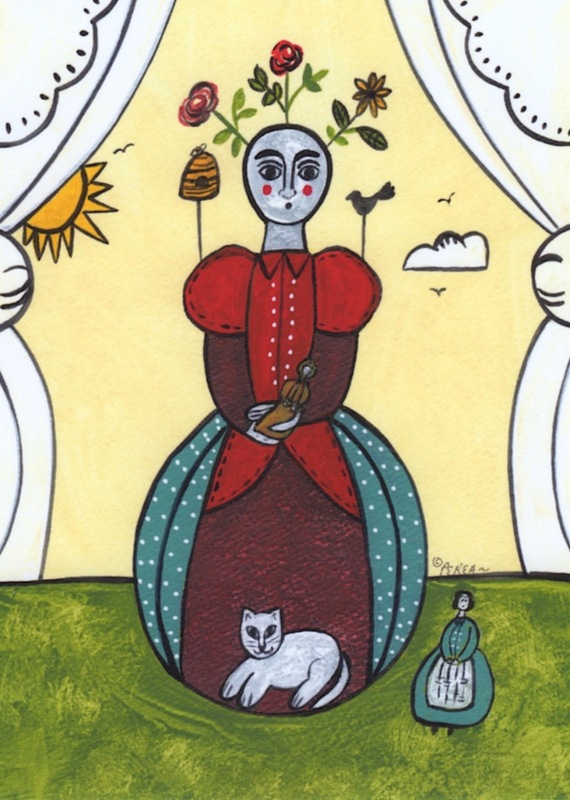 Perea was inspired by the Mexican artist, Frida Kahlo, and creates a variety of art that includes collage, mixed media, folk art, digital art, recycled art, and jewelry. She calls Frida Kahlo her "muse;" and a fellow member of the Artisan Depot says Perea was raised Roman Catholic, and the influence is portrayed through her Santos. She's also inspired by Latin American folk artists. One of her art shows at the Artisan Depot featured Dia de los Muertos (Day of the Dead), a traditional Mexican celebration that takes place in November and honors the spirits of the dead by inviting them to visit on that day. 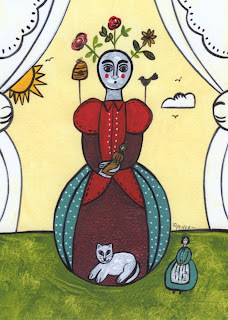 I bought a happier picture, in which Perea "channeled" Kahlo’s spirit entitled "Story Teller." I stood before the work several times, absorbing the fun and light-heartedness of the rendering. 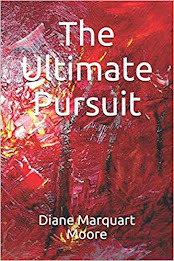 It was bright, colorful, and representative of a playful spirit — just the qualities I needed to absorb. Perea keeps the originals of her work and sells only prints, along with pottery and furniture decorated with her designs. I moved through the gallery leisurely and found a wall of silk scarves made by Christi Teasley, a Monteagle, Tennessee artist and textile creator. The scarves were products of a process called contact printing, eco-wrapping, eco-bundling, or eco-printing after an Australian artist, India Flint. The scarf that I purchased was dyed with onion, avocado pit, Japanese maple, string, alum, and iron mordant in which plants and cloth are heated, a fascinating technique also called "natural mark making" with plants on cloth. Teasley is an artist/educator who discovered the process of printing fabric as a high school student at St. Andrews Sewanee school. She continued her studies in textile dyeing at Rhode Island School of Design. She taught art at St. Andrews for many years and now teaches natural mark-making on cloth with plants at Shakerag Workshops (Sewanee) and operates Teasley Textiles, a textile design studio in Monteagle where she specializes in cloth created with ecologically-sustainable methods. Diana L. Lamb, a member of the Artisan Depot Gallery, acted as a docent while I was browsing, and before I left, I couldn’t resist buying one of the rocks with miniature design on it that she creates. "I'm buying this," I told her, "because I admired the miniature art created by Irani artists when I lived in Iran." Lamb calls herself a craftsman, rather than an artist, but I chided her just as she had chided me when I said I wasn’t an artist. "What are you then?" she asked. "I'm a poet." She laughed and declared, "Then you’re an artist." 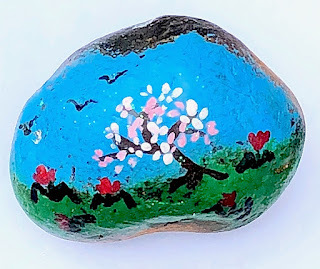 Only one piece of Diana’s rock art had been displayed, or I probably would have bought a boxful. By the time I left the Artisan’s Depot, I had three pieces of art in hand, was considerably cheered, and found myself quoting a famous comment by Frida Kahlo that Frances Perea loves: "Nothing is absolute. Everything changes, everything moves, everything revolves, everything flies and goes away."